Beefsteak tomatoes are the tomato to use for sandwiches. They hold together well when sliced and are perfectly juicy. Simple tomato sandwiches are fantastic on their own, but when you add creamy avocado and melty mozzarella, you definitely have a winner. Butter all four slices of bread and arrange them on your cutting board, butter side down. 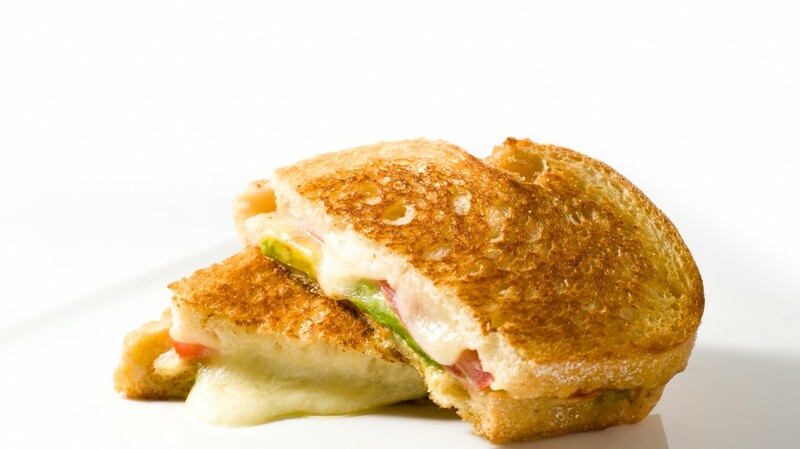 Build your sandwiches: sprinkle the mozzarella evenly on to all four breads slices. Top 2 slices with tomato and two slices with the avocado. Season with salt and pepper to taste. Bring the two halves together to create sandwiches. Heat up a non-stick pan over medium heat and grill the sandwiches until golden, about 2-4 minutes per side. Serve immediately.